SARASOTA, FLORIDA, March 1, 2018 – Our region’s commercial property sector continues to position itself to tap the benefits from the recent robust gains of the market for Manatee and Sarasota homes for sale. This looks evident in planned projects just announced at the Commerce Park in Lakewood Ranch and along the strategic Fruitville Road corridor in Sarasota. In mid-February, KW Realty of Manatee disclosed purchase of commercial space at the 280-acre Commerce Park in Lakewood Ranch. 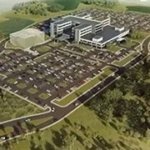 Several new communities like Indigo, Mallory Park, and Arbor Grande are notably on the flanks of this mixed development for office, commercial and industrial uses. KW Realty’s acquisition will give rise to a 22,332-square-foot retail center called Shoppes at Commerce Park with 4112 Lakewood Ranch Boulevard as its address. The new commercial establishments coming to this location at the northwest corner of Technology Terrace and Lakewood Ranch Boulevard would likewise find a potential market in residents of the golf communities of Rosedale and Esplanade at Lakewood Ranch, both a short distance north of Commerce Park. Construction of the Shoppes at Commerce Park is now ongoing, with its completion expected this August. The project’s square footage is already 65 percent leased, with Keller Williams Realty of Manatee as its main tenant. Significantly, one of its tenants coming in is Skyline Chili, a restaurant chain popular in the Midwest and now drawn by the burgeoning market in Lakewood Ranch communities and other nearby neighborhoods in east Manatee. The restaurant’s chain’s specialty is broth-like chili spiced with cinnamon, vinegar and cloves. Skyline Chili comes as the second restaurant brand to have recently announced overtures to local tastes. Shake Shack, which has a strong following amongst Northeasterners fond of burgers and shakes, now has a signed lease in the University Town Center area for a possible opening next year. 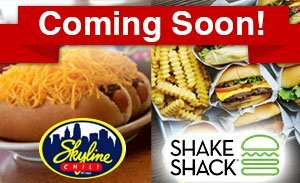 The imminent entry of Skyline Chili and Shake Shack is reminiscent of the local forays of Trader’s Joe and Wawa. 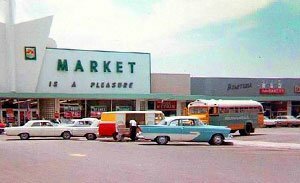 Both have eventually gained foothold on the Southwest Florida market and remain in search of local market niches, Wawa especially. Wawa, which first opened a Sarasota location in June 2016 at 3703 North Washington Boulevard, is now continuing its expansion in the region. A Sarasota-based concern, JBCC Development, recently filed preliminary plans to build a Wawa on a 1.82-acre parcel on Fruitville Road near the Colonial Village Shopping Center and several well-established residential neighborhoods. Besides six gas pumps, JBCC proposes a 5,600-square-foot convenience store and 23 parking spaces for this planned Wawa site east of downtown Sarasota. Development of this Wawa location should also bring some market interest on Sarasota homes for sale just south of the site. These include available residences at Ringling Park and Golf View subdivision. The latter neighborhood typically has listings of attractively priced Sarasota homes for sale offered in the high $100s featuring three bedrooms and two baths within a floor area of 1,821 square feet. In addition to the planned Wawa nearby, another potential game-changer in this Fruitville Road area is the long-awaited redevelopment of the circa 1950s Ringling Shopping Center. Official action is now being awaited on an application to redevelop this idle property on 9.7 acres at 2260 Ringling Boulevard into a mixed-use residential/commercial complex.